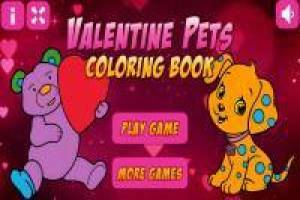 Today we bring you a coloring book set in love and that is the day of Valentine' s Day, known as Valentine' s Day. Now you can surprise your partner with a nice drawing that you can color yourself with the help of your PC mouse, or the touch screen of your mobile or tablet if you are playing on a mobile device. You can select the color you want and also the thickness of the stroke, being able to adapt it for the larger and smaller areas. Be careful not to get off the edge and make the drawing perfect. Once you finish it, you can print it or save the image to create a montage. 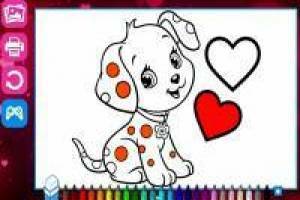 Choose the design that you like and start coloring animals for Valentine' s Day. 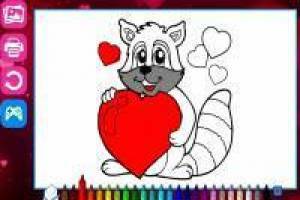 Enjoy the game Coloring Animals fo Valentine's Day, it's free, it's one of our valentines games we've selected.